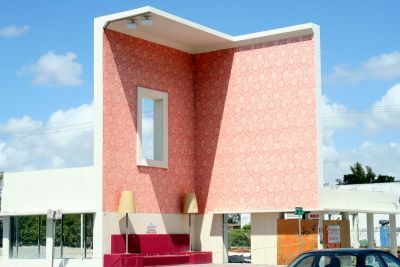 Miami Design District is located on Biscayne Blvd and 40th street in Miami. The Miami Design District is an 18-block neighborhood with over 127 stores to explore. This historic district has a rich architecture, and its constructions are usually one-story buildings. Design companies, upscale furniture stores, and art galleries are the main Miami Design District's attractions. The best international brands are represented in the district, including Fendi, Poltrona Frau and Kartel. Spending a few hours in the design district is highly recommended in order to see a large variety of unique art deco buildings, visit the interesting stores, and stop by for a quick lunch in one of the local restaurants. The Miami Design District can be covered in a few hours. Numerous art fairs are periodically held in the district and more notoriously during the famous Art Basel exhibition in December. Miami Vacation Rentals offers a large number of vacation condos in Miami, so you can stay in a place while you discover all the art in the design district. Our guide of Miami can offer you information about the best Miami getaways and Florida getaways. We can help you from A - Z, even with finding Flights to Key West.